As we each support others who are facing today’s accelerating change, here is a chance to coach each other in making a greater difference. It begins in this peer coaching evening; you may continue to sharpen your impact in three online peer coaching sessions over the next three months. The evening starts with two of the latest models of impact and effectiveness, the Strategic Action System and OASIS Conversations. 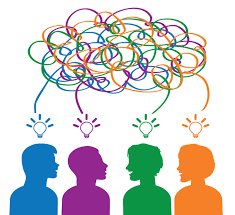 In small groups, we will each review a project we face, large or small, exploring potentially larger outcomes we may achieve and next steps we can take. This ODNC experiment in action learning will continue in a small virtual group: two online Zoom interactions and a one-to-one peer coaching phone call will be scheduled over the next two months for those who let us know they are interested.